president- Mrs. Sandrine Wallez, Vice-president- M. Gilles Bourdet, Treasurer- Mrs Margaret David, Secretary- Mrs Blandine Boulekone- advisors Mrs. Juliette Pita & M. Philippe Métois. Association seeks to socially, economically and environmentally empower disadvantaged communities in Vanuatu through fair trade. We help local communities to sell some of the local products which include handicrafts, carvings, spices chocolate and oils. ACTIV is a national union of associations, cooperatives, small producers and other individuals from the islands Ambae, Pentecost, Maewo, Paama, Tanna, Erromango, Puninga, Ambrym, Futuna, Epi, Vanua-Lava, Araki, Gaua, Malekula, Mataso, Aneithyum and Efate. However, ACTIV’s reach continues to grow. The ACTIV Association is comprised of three branches: ACTIV Forum, ACTIV Community and ACTIV Earth. 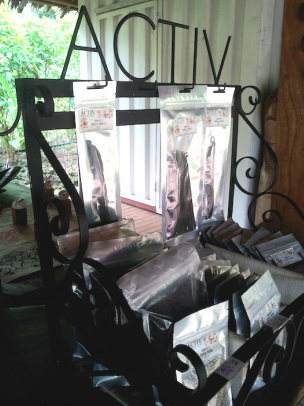 ACTIV Forum promotes and retails products sourced from around Vanuatu. ACTIV Community collaborates with communities to identify income-earning opportunities and assist in product development. ACTIV Earth engages in environmental and social projects which aim to improve the living conditions of rural communities.